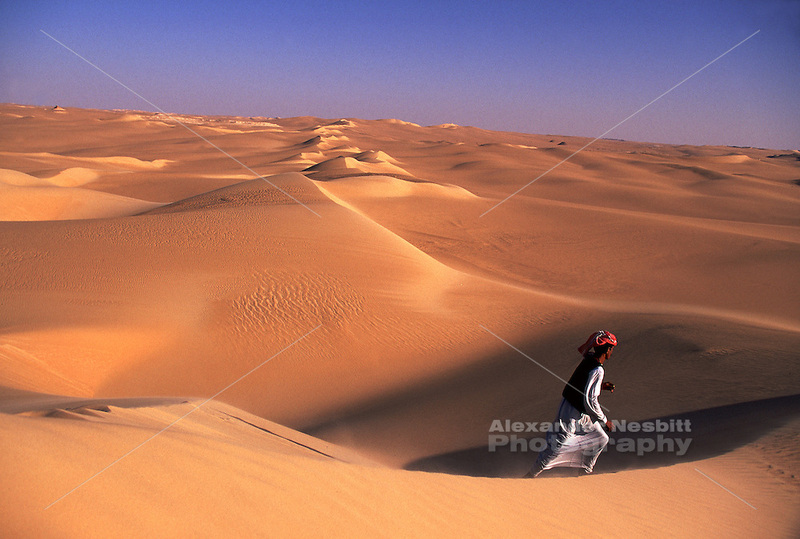 A Bedouin desert guide, Achmed Abu Bakr strides across a massive dune ridge. It is this ridge and many others like it that comprise the Great Sand Sea, just south of the Siwa Oasis. Egyptian Western Desert or Lybian Desert.